General Hospital&apos;s Chad Duell was the perennial bridesmaid of the Outstanding Younger Lead Actor category. He was nominated three times for his portrayal of Michael Corinthos, but never won a Daytime Emmy. This year, he aged out of the category and entered the far more competitive Outstanding Supporting Actor race. Sunday night Duell won the award with a submission reel featuring his character threatening to kill his adoptive father, mob boss Sonny Corinthos (Maurice Benard). Duell managed to beat out prior winners Jacob Young, Scott Clifton (both of The Bold and the Beautiful) and The Young and the Restless veteran Kristoff St. John. In the pressroom, Duell said he was thrilled his move to the grown-ups table broke his Emmys curse. "I was used to being nominated in the Younger category and hearing someone else&apos;s name." 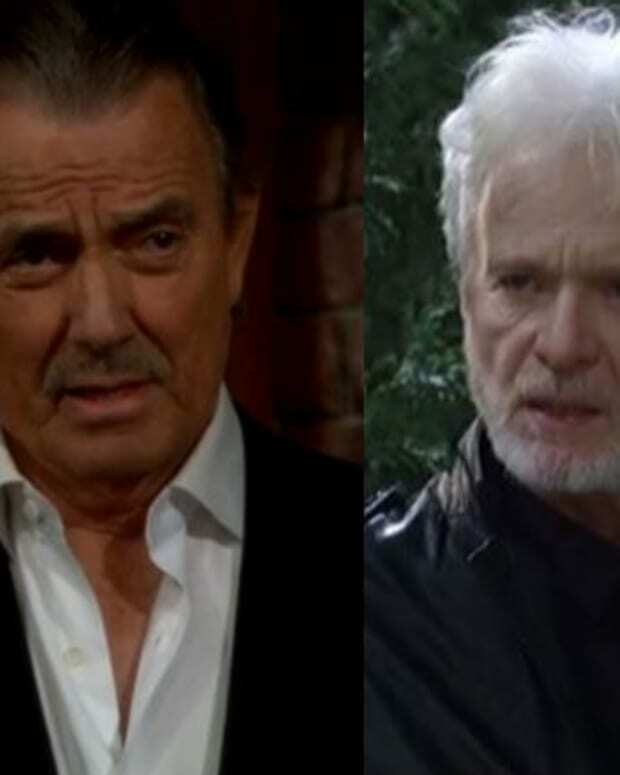 Duell&apos;s Emmy fortunes improving had a lot to do with Michael&apos;s transformation from Sonny&apos;s loyal son to a man determined to avenge his biological father&apos;s death. He revealed the show&apos;s producers had long wanted Michael to become a bad boy, but it did not feel right to him. "They provided the opportunity in Sonny shooting A.J. and that was a strong enough shift in that character to make him completely different," said Duell. "I’m enjoying it now that it makes sense that he’s that way. It’s a lot of fun. I love playing him as kind of a jerk." Duell is now a part of a two-Daytime Emmy household. Two years ago girlfriend Kristen Alderson (ex-Starr/Kiki) won the award for Outstanding Younger Leading Actress. "Kristen and I plan to put them next to each other, facing each other," said Duell. "We’ll find some weird way. They’ll be sitting next to each other somewhere. She has it sitting in some random pedestal in her bedroom right now. We might put it in some sort of glass thing." While a lot of actors are excited about GH&apos;s upcoming live episodes, Duell has chosen to opt out. "I don’t think I’m doing the live episodes. I kind of angled for that because I get a little stressed... It’s kind of a cool experience because it’s like doing stage[work] but you don’t get much rehearsal. So I’m not doing it but everyone who&apos;s doing it is going crazy. We’ll probably do it again if it goes well and I’d probably do it in the future. We’ll see."